Learning through play: That’s the hallmark of this popular Magnetolog series. Forty-five magnetic pieces provide kids with lots of fun—and knowledge—that they can use to fill five dramatic oversize scenes. Fascinating information just right to for its audience about the Jurassic, Cretaceous, and Triassic periods are packed into this all-in-one playset, along with many facts about various prehistoric creatures. The perfect travel and take-along book for young dinosaur fans. 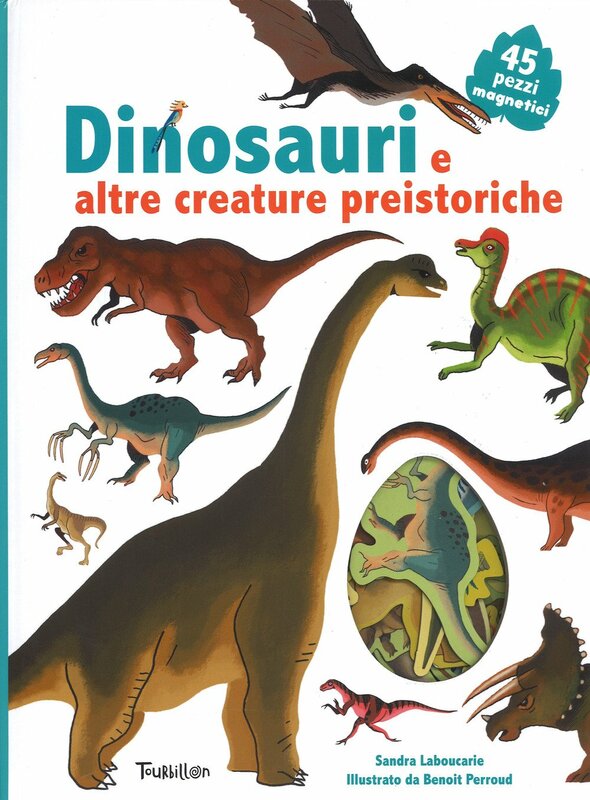 Categories: Activity Books, Dino Books & DVDs, Educational Books. Tags: activity book, book, Magnetic book.